Following hot on the heels of an award from Junior Magazine we can now reveal that Smallish Magazine too, has recognised our Deluxe Travel Cot as a Platinum winner! – Travel Product Smallish Design Awards 2017. The Deluxe Travel Cot & UV Sun Tent is one pretty nifty piece of baby kit. With a self-inflating mattress, a cotton sleep mat, UV35 sun shield, ground pegs for outdoor use and a fold-down mechanism so it fits into a convenient carry bag, they recognise it’s a travel essential parents should never be without. 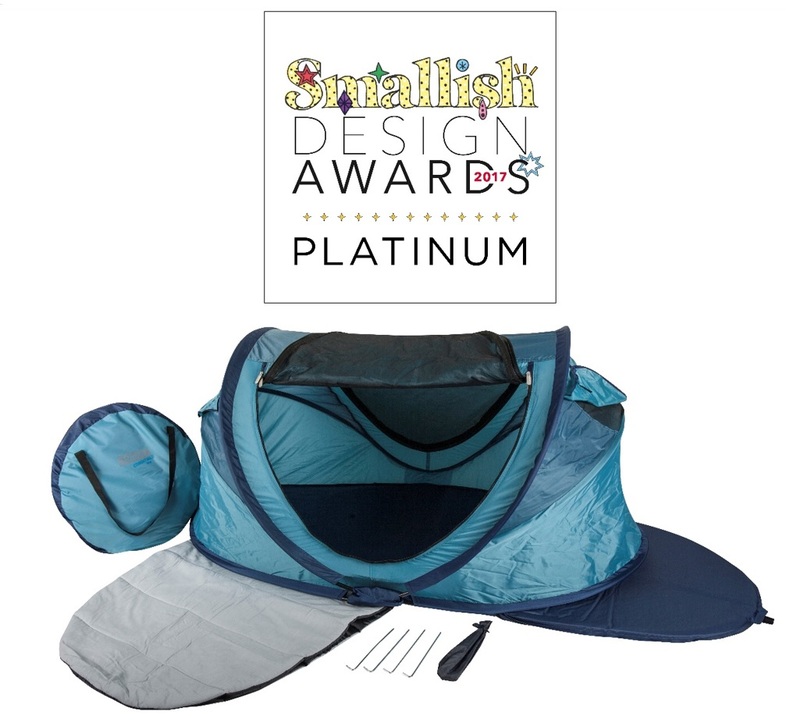 A worthy winner when you think it’s actually three products in one – a travel cot, a UV sun shelter for the beach and a fun tent for the park. It’s also fast and simple to assemble and put away. Ideal from 0-4 years. Find out more here.